Karzai and the Taliban: deal or no deal? During a recent interview with the BBC, Afghan President Hamid Karzai stated that he was personally speaking with the Taliban to work out a solution to bring them into the Afghan government and settle the disputes between the republic and infamous fundamentalist organization. If he really wants to reintegrate Afghan Taliban members into politics and society, there are some major hurdles he must clear. If Karzai truly hopes to bring the Taliban peacefully and legitimately back into the Afghan society, then the DDR principle (disarmament, demobilization, and reintegration) must be respected. The two “D’s” represent the immediate steps taken to provide stability and security. First, the Taliban must be prepared to throw down their weapons and completely disarm; second, they must be demobilized to make the effects of disarmament permanent and long-lasting. Finally, reintegration will be a much longer process wherein those members of the Taliban that are welcomed back into society by the Afghan government and population reenter through sustained social and economic programs and activities. An important prerequisite for these talks is the inclusion of women. Whether they are female politicians or professors, NGO employees or entrepreneurs, these women must come from a position of power and have a voice in the reintegration talks for the notoriously sexist organization. This will be a huge test to see if the government of Afghanistan is prepared to keep human rights and gender equality in their political and social conscience. However, before DDR can even be approached, there are some important preconditions. There must be a secure and safe environment for talks about DDR and peace to even take place. All warring parties must be included, meaning the Taliban, the government, and, as previously stated, female representatives for the greater Afghan female population. The outcome of the peace talks must be a strong political agreement which outlines clear criteria for participation in the DDR program, the founding of legitimate and responsible institutions for implementation and follow-through, and the definition of realistic goals and a timetable for implementation. Overall, this needs to be a comprehensive approach that couples national and local efforts, as well as political and judicial efforts, to draw clear connections between the disarmament, demobilization, and reintegration phases. Finally, and without which this process cannot take place, sufficient funding is a necessity to ensure that the program runs as smoothly as possible without any hiccups or setbacks to keep both parties in the process honest. Although the above points were presented quite simply, peace between Afghanistan and the Taliban is anything but. Corruption stands as one of the largest stumbling blocks to this peace. Afghanistan is listed as one of the most corrupt countries in the world (alongside North Korea and Somalia), not to mention that Karzai himself is an overtly corrupt plutocrat. Moreover, with an increasing rise in gender equality, allowing Taliban directly back into the government would seem a setback. It is inconceivable that Karzai could convince Afghanistan’s 14 million women that allowing a group that has consistently poisoned, bombed, kidnapped, and executed women for decades is the right thing to do. It will take years and years to overcome this contentious issue and allow members of this movement to reenter Afghan society. Security stands as another major issue on peace with the Taliban. As ISAF troops continue to prepare for withdrawal and Karzai and NATO hammer out the details in the Bilateral Security Agreement, it has yet to be seen whether or not the Afghan National Security Forces (ANSF) are fully prepared to take the reins in 2015. The fact that there is a need for continued training post-withdrawal should raise some flags to begin with. Even looking at the Taliban, one cannot expect an organization that has furthered its agenda at gunpoint to suddenly lay down its arms and reenter the society which has chastised it. Taking a financial perspective to seeking peace, the current Afghan government simply cannot afford it. Afghanistan’s GDP is approximately $18 billion dollars and the country currently receives more than $16 billion in international aid, much of it from the US; if there was even a hint that some of this money was going toward peace with the Taliban, you could expect a huge backlash in the US and other ISAF countries and a major decrease in aid. Losing these funds would leave the Afghans with a major inability to run their current social and political programs and institutions, while also trying to rebuild the country and turn the ANSF into a suitable fighting force. 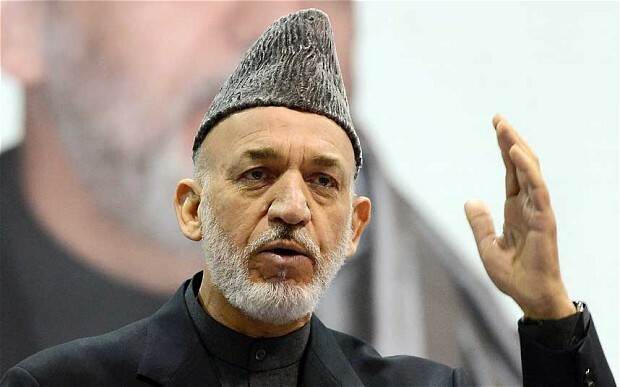 Regarding the upcoming presidential election, Karzai’s ineligibility to run due to term limits could throw a wrench in peace talks. If a Karzai supporter wins the election, then there is still a shot at continuing the talks; however, if a pro-Northern Alliance candidate wins, then the talks could end entirely. Despite Karzai’s claims and attempts, Afghanistan is seemingly unprepared to reincorporate the Taliban and it is doubtful that he will ever see them brought back into the fold. This entry was posted on 22/10/2013 by ISIS Europe in Jacob Steiner, Opinions and tagged Afghanistan, Counter-terrorism, Gender & Security, Middle East, NATO, US.